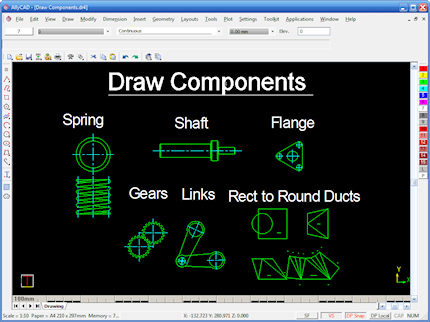 The Mechanical Toolkit speeds up the drawing of common mechanical components, and provides functions for annotating welds, tolerances and surface finishes. 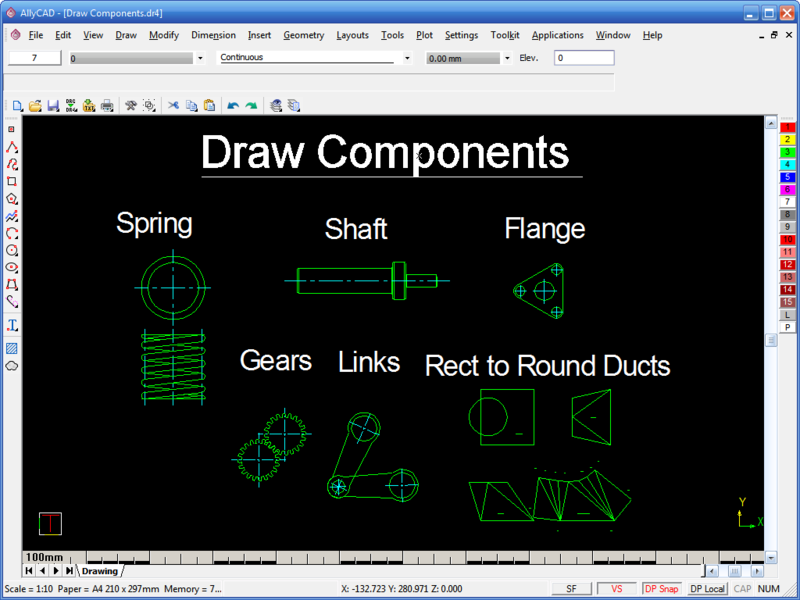 The Mechanical Toolkit Setup dialogs are used to modify the Mechanical Toolkit's default settings, and customise it to your preferences. 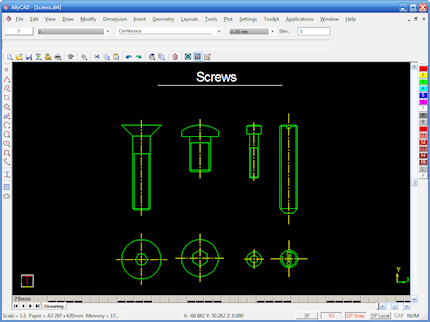 Here you can further specify line type and pen colour that will be used by the mechanical toolkit to draw Solid, Hidden and Centre lines. 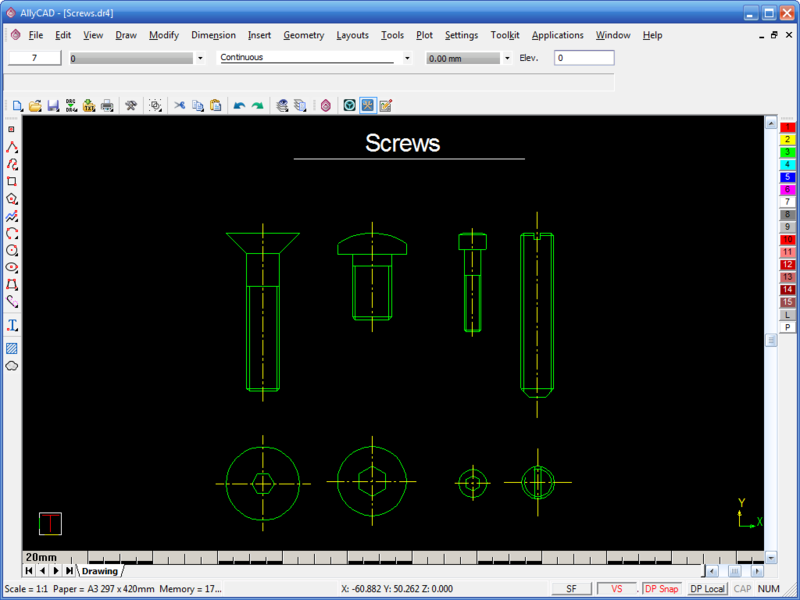 Draw drilled or tapped holes in plan or section. 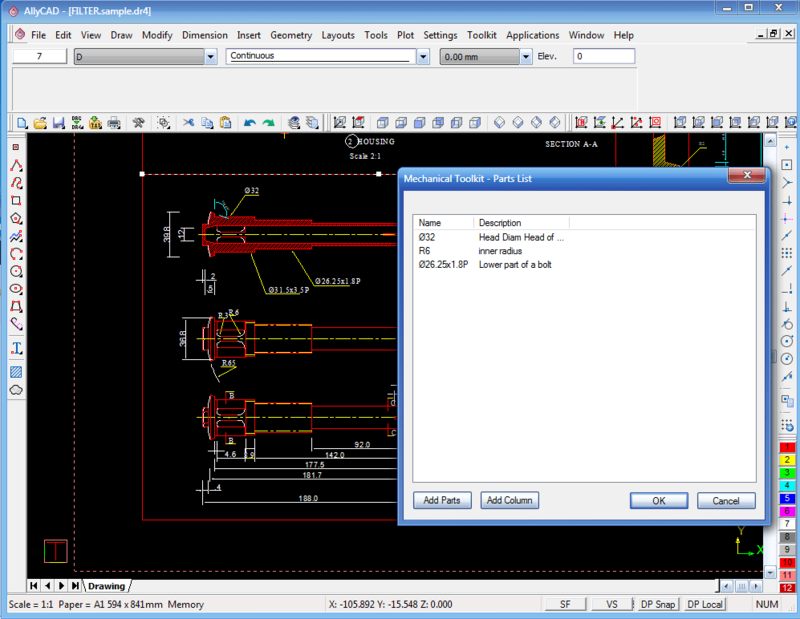 This extremely useful tool enables you to instantly calculate the total length of all lines in a specified layer and can be used to calculate the total length of electrical cables and pipes drawn on a layer. 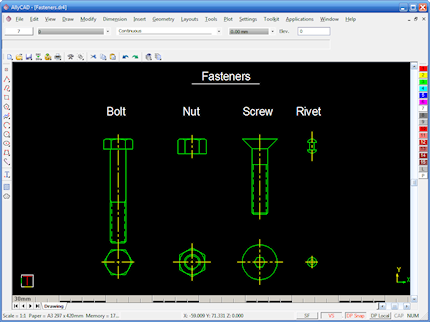 The results can be displayed or written to an ASCII file. 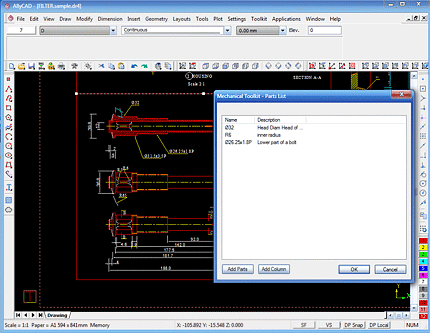 The ASCII file lists each line, its co-ordinates and its length, as well as the total line length. 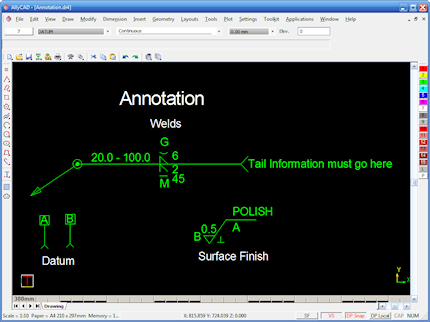 Weld annotation - can save weld annotation definitions for laterre-use which saves time and helps with standardising work. 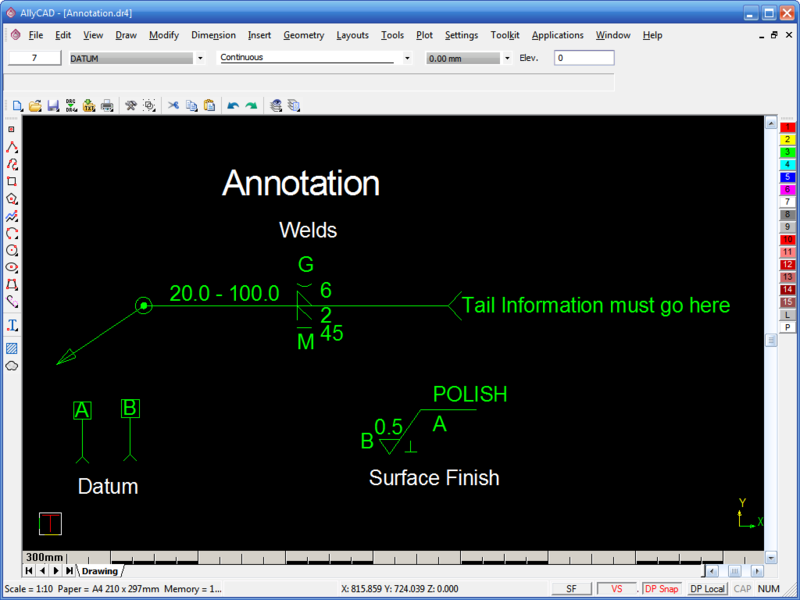 Surface Finish annotation - can save surface finish definitions for later re-use. 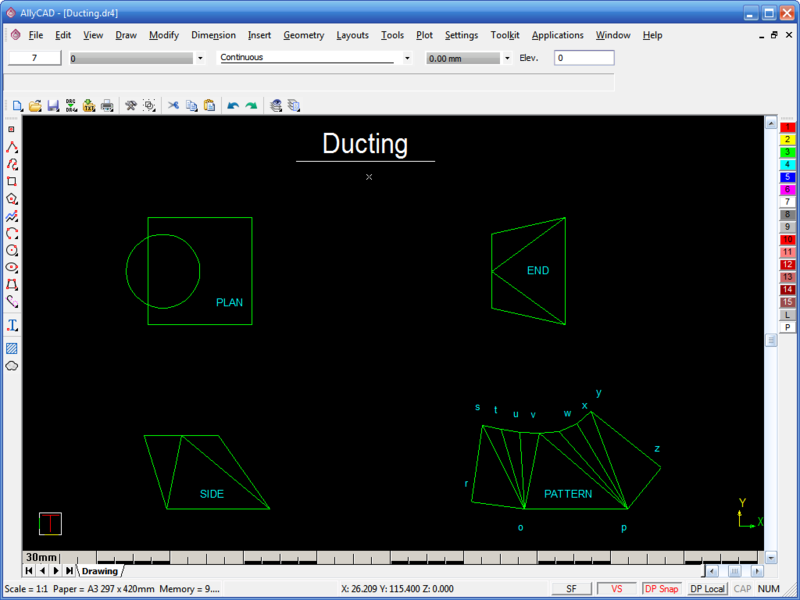 This tool allows you to draw top, side, front and development views of a rectangular to round duct section. 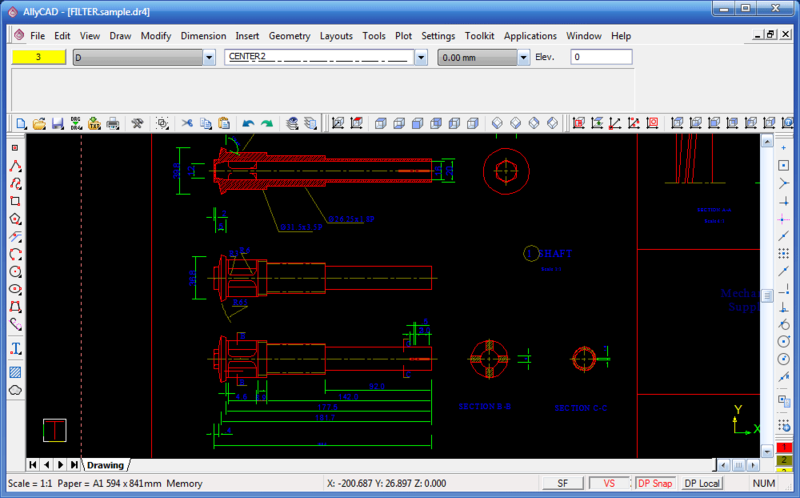 This function allows you generate and draw a general-purpose table of data. 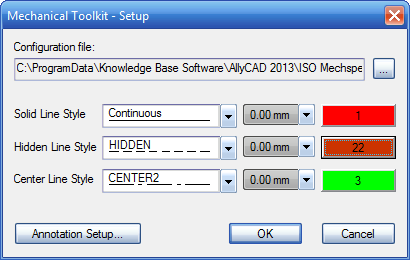 Data may be imported and exported as a CSV (text) files. 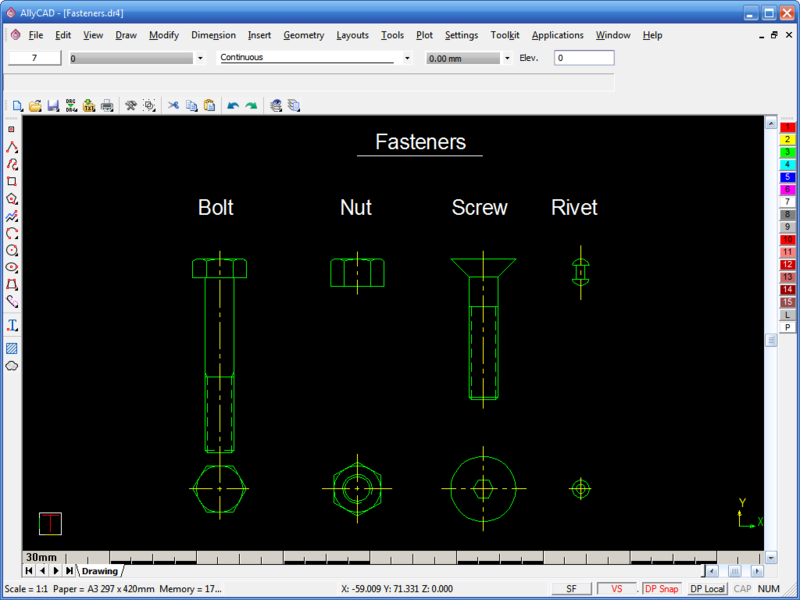 Can create a Coordinate table, a Parts List table, or a "User" (general-purpose) table. The data in all tables can be exported to Excel (.CSV file). User table can import .CSV data. 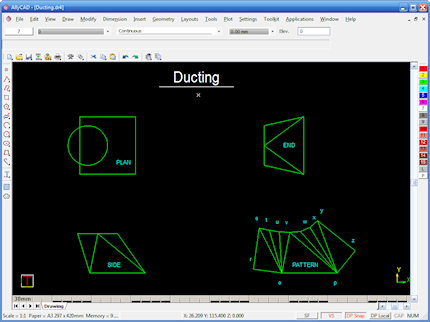 Data can also be cut and pasted from Excel spreadsheet into the User table.